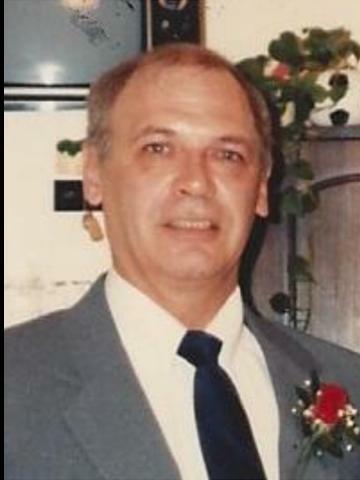 Harlin Eugene "Gene" Terry, 71, of Moline, passed away on Friday, April 15, 2016, at Rosewood Care Center in Moline. A funeral service will be 6 p.m. on Wednesday, April 20, at Esterdahl Mortuary & Crematory, 6601 38 Avenue, Moline. Visitation will be from 4 to 6 p.m. on Wednesday, April 20, at the funeral home. Burial will be at Roselawn Cemetery. Military honors will be conducted by Moline American Legion Post 246. Memorials may be made to the Rock Island Animal Care and Control. Gene was born on Aug. 12, 1944, the son of Earl and Myrtle Gorsuch Terry. Gene served in the Army, then went on to Black Hawk College and Western Illinois University with a bachelor degree in engineering. After 20 years he retired from the Arsenal in 2005. Gene loved remodeling his rental properties as well as antique car shows; his pride and joy was his 66-68 Dodge van and truck which he stripped down and redid himself. Gene also enjoyed fishing, gardening and dancing. Gene's strength, love and generosity were some of the things he gave to people that knew him. Gene is survived by his companion, Gloria Lopez; brother, John Terry; nephews, Jonathan (Tracy) Terry and Michael (Meaghan) Terry; eight great-nieces and nephews; godchildren, Angie Moore, Mario Delgado, Alex Animas and Mercedes Animas; and best friend, John Gray. He was preceded in death by his father; and sister-in-law, Jean Marie Terry. Memories may be left online by visiting esterdahl.com. I'm sad to hear about Gene's passing. We grew up together, living a block from each other. He lived on 24th Street, I lived on 25th street. Numerous hours were spent playing on that Grant grade school playground and Riverside Park. I remember him from those early school days and well into our high school years. Gene was always a gentleman and ALWAYS had that infections smile on his face. I believe he was one of our MHS Class of '62 greatest dancers. At our earlier reunions I always enjoyed dancing with him, he was so easy to follow and he LOVED to dance!. I remember after one reunion in particular. Several of us ended up somewhere in Davenport at a place with a small dance floor. OMGSH....the guy outlasted all of us on that little dance floor...what energy! Of course, we all stayed & closed the place that morning! Rest in peace Gene, you will be missed by this neighborhood friend of long ago. My heartfelt sympthany to his family & friends. Gene had a locker close to mine at Coolidge and he was always such a nice, shy guy! I particularly liked dancing with him since he was just my size and OBOY, could he dance! So much fun in the "Rec" at lunch time...who wanted to take time to eat! Happy memories of a sweet boy! Rest in peace! RIA he will truely be missed.